I love reflections! Although we try to remain as hands off as much as we can some direction of how to angle the mirror is sometimes required to gang the desired effect! This is very much a fun picture of our lovely bride Heather taken just before her wedding at the Peak Edge Hotel close to Chesterfield in Derbyshire. Her hair and makeup are finished and our bride checks she is happy with her hair before getting into her wedding dress. 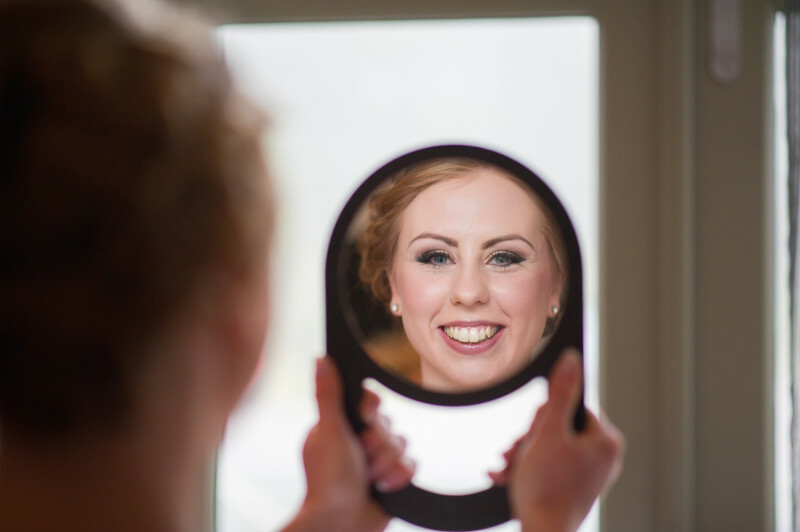 There is a satisfying feeling catching a reflection particularly when they add something a little different to a collection of wedding images particularly when they make you smile! This was our first wedding at the Peak Edge Hotel and what a wonderful wedding it was too. The Peak Edge is a venue we had not encountered before this wedding. It has one of the most magnificent bridal suites we've seen and is a wonderful and spacious room for the bride to get ready in. 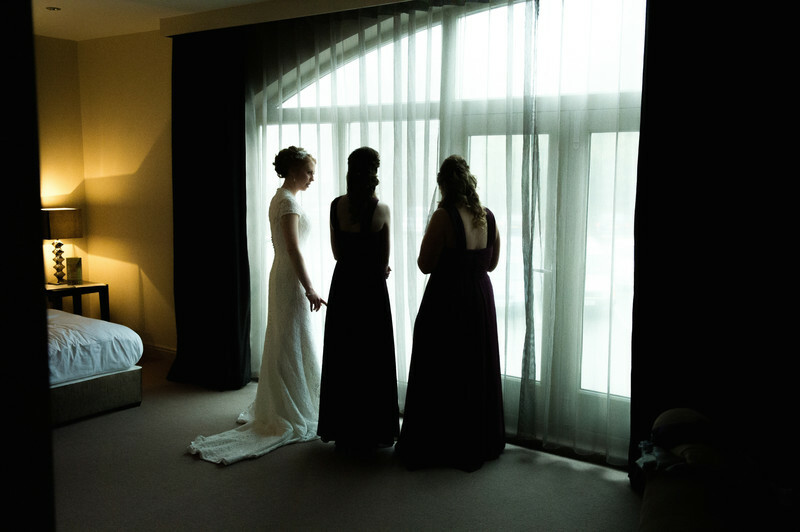 The massive window along one wall provides me marvellous directional light and additionally affords a fantastic and secretive view over the front of the hotel so the bride and her bridesmaids can see the guests arriving without being seen themselves, great fun!